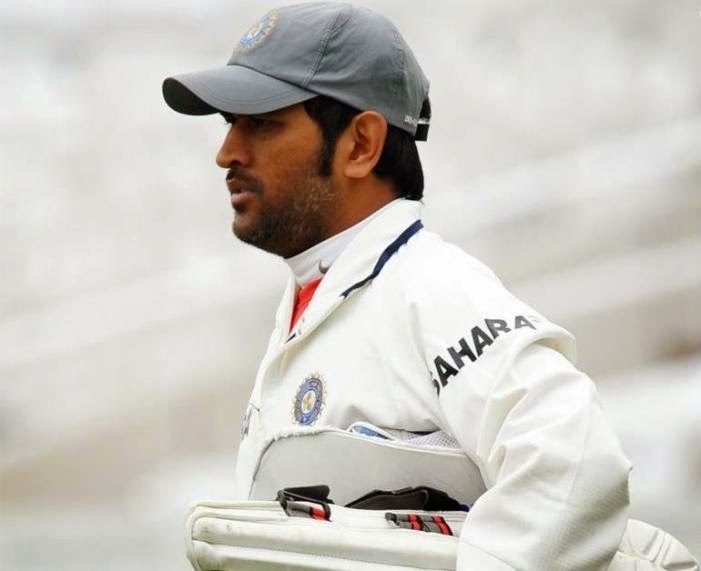 +MS Dhoni retired from test cricket after the drawn test against Australia at Melbourne on 30 December 2014. Everyone was shocked by his sudden decision of retirement from test cricket in a such silent way. One of India’s greatest Test captains under whose leadership India became the No. 1 team in the test rankings, MS Dhoni, has decided to retire from Test cricket citing the strain of playing all formats of cricket. BCCI, while respecting the decision of Dhoni to retire from Test cricket, wishes to thank him for his enormous contribution to Tests and the laurels that he has brought to India. Though he is criticized for not doing well in overseas and all, he still is the best Indian test captain till now. India has won 27 test matches in Dhoni’s captaincy, no any other captain has given that number of wins for India till now. Sourav Ganguly is on no 2 with 21 test wins. 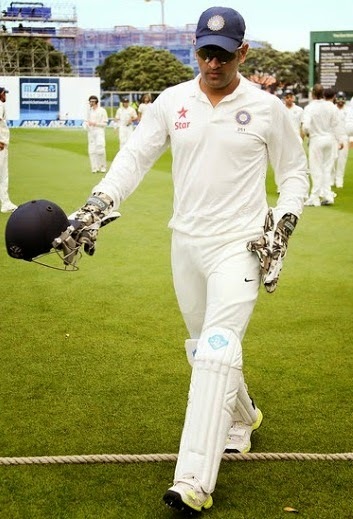 Dhoni in his second inning at Melbourne made 24 runs not out and completed 10,018 runs as test captain. No any other Indian captain could make 10000 runs in all three format of the cricket till now. Ricky Ponting, Graeme Smith, Stephen Fleming and Allan Border are only players who done this previously. Team India become no 1 in test cricket in Dhoni’s captaincy for very first time of the history. After December 2009 till the tour of England in 2011 India retained at no 1 under MSD’s captaincy. Mahendra Singh Dhoni completed 3454 runs in his last test match which is highest by any Indian test Captain just exceeded Sunil Gavaskar’s 3449 runs of his test scores. In the last test at Melbourne Dhoni claimed 9 wickets as wicket keeper which is highest by any Indian wicket keeper in a match. Previously Dhoni and Nain Mongia has claimed for 8 wickets in a match. Dhoni has taken 8 wickets 3 times and Mongia 2 times in a match previously. 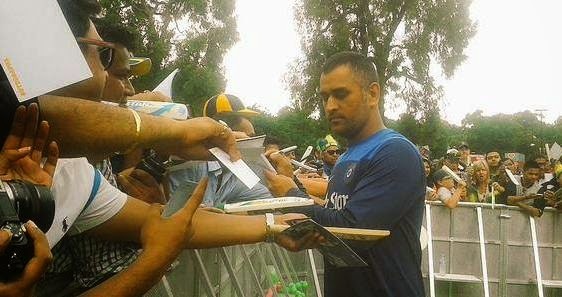 As a wicker keeper Mahendra Singh Dhoni has taken 256 catches and stumped 38 players. With 294 wickets in test cricket Dhoni is no 5 test wicket keep in the world. At Chennai, Dhoni played an inning of 224 runs against Australia which was highest by any Indian test captain till now. He has exceeded previous Sachin Tendulkar’s record of 217 runs. Dhoni claimed the highest wicket taker captain of India in test cricket. He took 211 wickets in test cricket as captain. In the last match at Melbourne Dhoni claimed the highest stumping in test cricket. In the first inning of the match at Melbourne he stumped Michael Johnson on a ball of Ravichandran Ashwin an surpassed Kumar Sangakara for highest stumping in the international test cricket. It was his 134th stumping. Overall, Dhoni played 90 Test matches in his career that began in 2005 and scored 4876 runs at an average of 38. I hope we’ll see much more records by MS Dhoni in the shorter formats of cricket. Images courtesy of Dhoni’s G+ and FB profiles.